It is not about me, but our Sound Healing Centre in Ubud in Bali. 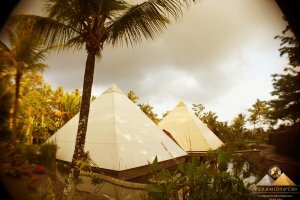 The pyramids can be viewed on www.pyramidsofchi.com and it is a place of energy, relaxation and especially healing. We have many healers working with us and from a number of differing modalities. Every day we come across people seeking more answers and often having incredible reactions to the experience they receive in the Pyramids.